It might surprise you to find out that age discrimination is one of the riskiest, costliest subjects of business litigation today. It can not only threaten a business, but it can also negatively affect other employees and their productivity. Below, we discuss some major guidelines to ensure that this is not a legal problem that you and your business will run into. What Is Age Discrimination? Is It Prevalent? Age discrimination-related complaints make up approximately 23 percent of all complaints received by the EEOC. The Age Discrimination in Employment Act (ADEA) has been in place since 1967, and provides legal protection against age discrimination in the workplace. It protects certain types of job applicants and employees who are 40 years old and older from being discriminated based upon age when it comes to compensation, conditions, discharge, hiring, privileges, promotions, and/or terms of employment. The law applies to all local, state, and federal government employers (regardless of how many employees they have), as well as private employers with at least 20 employees. Age discrimination isn’t always overt, sometimes it is subtle. Set and maintain policies to actively prevent it. This includes providing discrimination and diversity training, enforcing the age-related policies that you put in place, and implementing best practices during your hiring practices. You never want to reach the point where your business may be threatened by an age discrimination complaint. 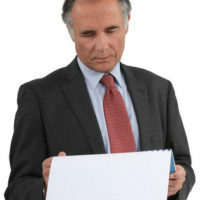 Working with experienced business attorneys can not only help prevent situations like this, but also ensure that if a dispute does arise, it is handled smoothly. If you are located in Florida and have a legal question related to your business, contact one of our experienced Sarasota business litigation lawyers at Moran, Sanchy & Associates today.